Hello! 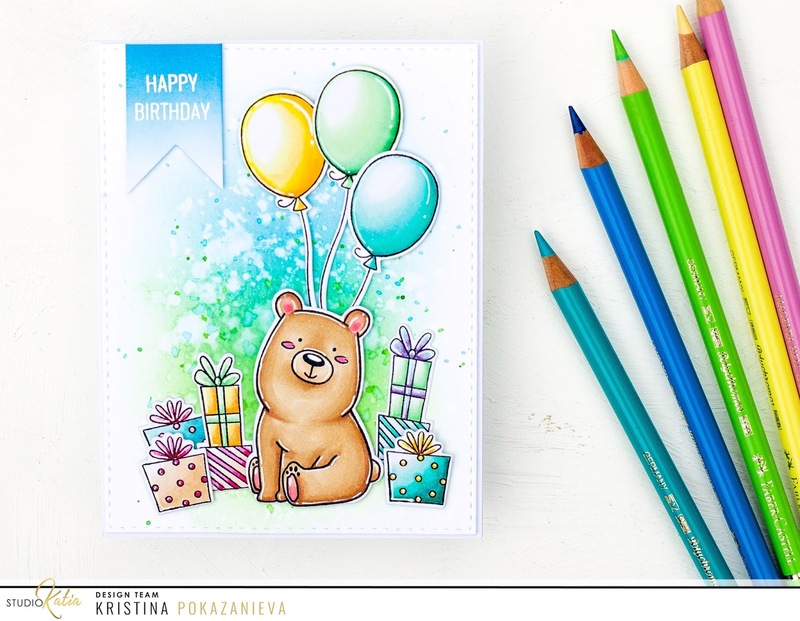 I’m so happy to be back here after a short summer break and show you a cute birthday card with Kobi the bear. I’ve started by stamping all the images with Memento ink. 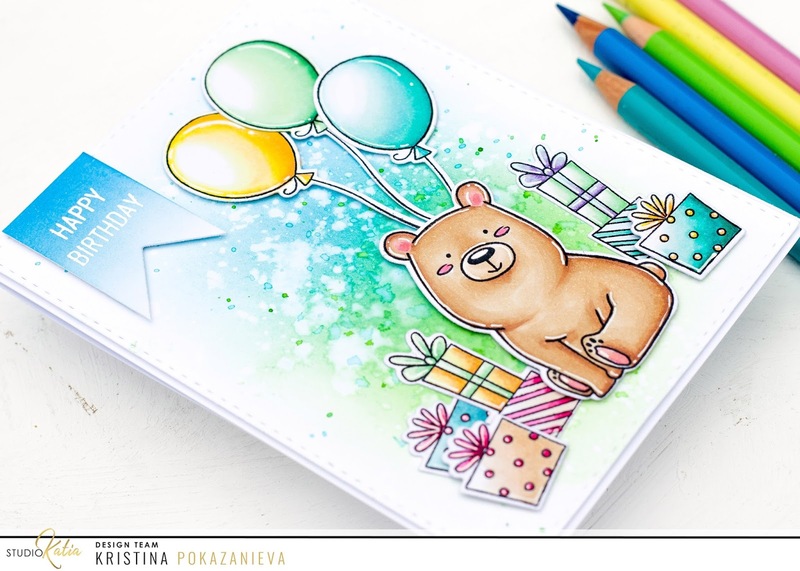 I used COPIC markers to color the images and used coordinating dies to die cut the images. I just love seeing how they pop out of the die. Then I made an easy tint with blue and green distress inks on white paper and sprinkled with water. 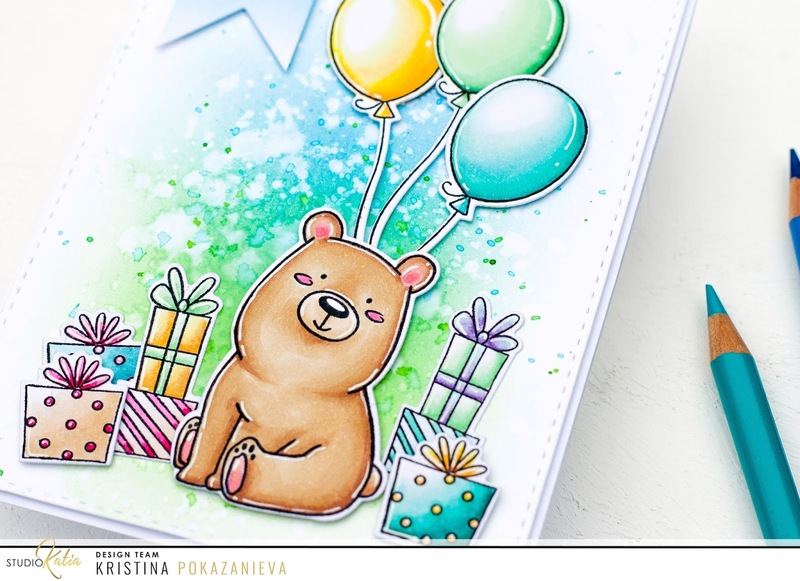 Then I cut out a small banner, toned it with blue ink and stamped a Happy Birthday sentiment by heat embossing using white embossing powder. Once my background dried, I’ve adhered all the elements onto the card with foam tape and attached it to the white card base.